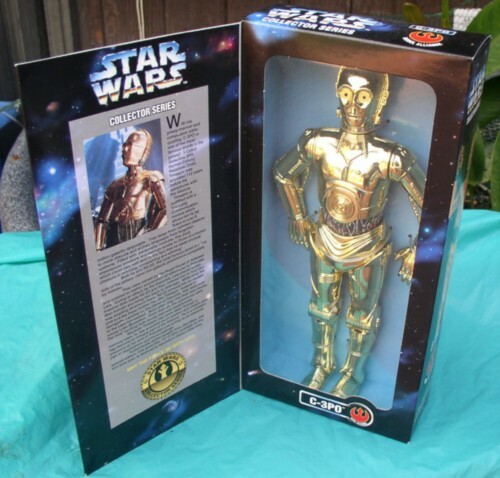 Star Wars C-3po Rebel Alliance collector series Doll ages 5 & up. This doll is by Kenner and dated 1997.
authentically style with incredible detail poseable 12 inch figure features a realist outfit, signature weapon and accessories. Because of this dolls age please be advised that the box is not perfect, the doll has never been removed or played with.